Apple’s iOS betas tend to be a pretty big deal, especially for its legions of fanatical followers, and iOS 5 is no different. When Apple released the first beta of iOS 5, iPhone, iPad and iPod touch users clambered to get their hands on it, but the problem is you need to be an iOS developer to install it thanks to the way it checks your UDID (unique device identifier) with Apple’s servers. If you’re really lucky, you’ll know a friendly neighborhood developer who will add your UDID to their developer account, or if you’re really desperate there are ways and means to pay to get your UDID added. Or, there were the even more folks who took advantage of a loophole in the activation process, which enabled users to bypass the UDID checks. This caused great controversy for a couple of reasons. Firstly, iOS betas really are betas. Google might be comfortable with calling services and apps a beta for years – we all remember Gmail’s infamous beta status – but when Apple says beta, it means it. Should the average Joe be installing a known-unstable operating system onto their devices, especially phones? Perhaps, perhaps not. Secondly, the method involved making use of the ‘Emergency Call’ function inside iOS, which allows such calls to be made no matter which state the OS in in. This means as soon as iOS 5 is installed, emergency calls can be made. Should people be making false calls to 911/999/whatever your local number is? Thirdly – and yes I know I said ‘a couple’ earlier, iOS betas expire. If Apple bungs the hole used to install iOS 5 beta one in subsequent betas then you’re stuck. Hopefully the final release will arrive before the beta expires, but it’s a bit of a hole to be in. Of course, these concerns didn’t stop half the internet installing iOS 5 on their own hardware, and all was well. 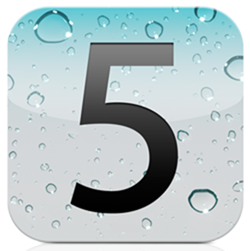 Now Apple has released its second iOS 5 beta, and we need a new way to bypass the UDID check. It just so happens, we have one too. We recently received a tip from Ali Yousuf who has put together a video showing him doing just that, bypassing the UDID check of iOS 5 beta 2 on an iPhone 4. Now before we go any further, let’s get this out of the way: we at RedmondPie, or even myself for that matter, do not condone either the installation of iOS betas on non-developer hardware, nor do we condone the use of the Emergency Call function for the sake of getting hold of a piece of software early. If this all goes pear-shaped and you’re left with a device that doesn’t boot/work/call/insert other problem here, then that’s on you folks. That being said, if we don’t tell you then somebody else will – just be aware of the risks! Right, now that’s done, onto the steps needed to do just what I’ve told you not to do. 1. Press Home button on the iPhone’s Activation Screen. 2. Tap the “Emergency Call” button. 3. Dial 112 (presumably this needs to be your local number, though we’ve not tried it ourselves) and press the Call button. 7. Open “Phone” app and End Call. While seven steps aren’t excessive, our view stays the same: if you really must install iOS 5 betas on your iPhone, iPod touch or iPad then either find yourself a friendly developer, or just stump up the $99 to get onto the developer program. The added bonus of doing it legitimately is quite obvious – easy and immediate access to all future betas, no questions asked. That’s got to be a better option, right?